As families across the nation anticipate celebrating Mother’s Day with brunches and flowers, many women in the US will be spending the day in homeless shelters, many as a result of domestic abuse. To honor mothers and to make life in shelter a little gentler for moms in need, TWO MEN AND A TRUCK® is hosting its annual Movers for Moms® donation drive across Wisconsin. Donations of essential care items such as hair care products, bedding, bath products, toothpaste, and soft goods will be collected at local businesses April 8 through May 8. The drive taking place across Racine, Kenosha, and Walworth counties will collect donations for Women and Children’s Horizons in Kenosha. The effort is happening at franchises across Wisconsin and across the country. For more than 12 years, the moving company has led this drive because so many women struggle with domestic violence. According to information from The National Domestic Abuse Hotline, one in four women will experience domestic violence during her lifetime. Statistics from The National Alliance to End Homelessness report that domestic violence is the immediate cause of homelessness for many women, and 92 percent of homeless women had experienced severe physical or sexual assault at some point in their lives. In 2018, more than 35 donation sites collected thousands of items that went directly to the shelter. Last year’s shelter recipient, the Women’s Resource Center of Racine, says they put these things to immediate use. Please look for collection boxes and consider making a donation. 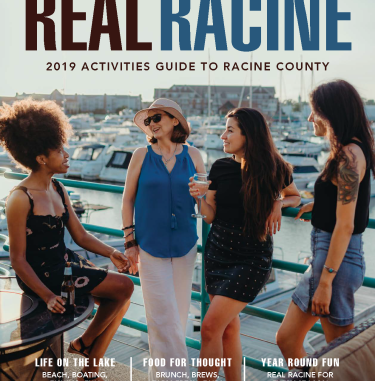 A list of local businesses in Racine, Kenosha and Walworth Counties will be posted at www.twomenandatruckracine.com under Community Service. An interactive map of donation sites may also be found in early April at https://twomenandatruck.com/movers-for-moms. A wish list will also be posted online and at each donation site. Women and Children’s Horizons was established in 1976 and is the oldest incorporated domestic violence shelter in the state of Wisconsin. The mission of Women and Children's Horizons is to provide support, shelter, education, training and healing services to victims of sexual and domestic abuse, their families and the community. The agency serves more than 2,500 individuals every year, including children. TWO MEN AND A TRUCK® is the largest franchised moving company in North America, providing business and residential moving to customers locally and between states. Currently there are 390 locations and 2,900 trucks operating in 43 U.S states in addition to Canada. TWO MEN AND A TRUCK® has performed more than 7.5 million moves since its inception in 1985 and has seen consistent growth for the past decade. Each location is independently owned and operated. For more information please contact Vanessa Armour at 262-619-9200 or Vanessa.armour@twomen.com.